If your flight is delayed you could be entitled to compensation or a refund, so make sure you know your rights and are not left out of pocket. Can I claim for extra out-of-pocket expenses for a delayed flight? Speak to Which? Legal for affordable advice on dealing with a flight delay, and get help with making a claim. If you booked a flight that either departed from Europe or was with a European airline, you're protected by the Denied Boarding Regulation - or EU Regulation 261/2004 - if your flight is delayed or cancelled. If you're more than three hours late arriving at your destination you could also be entitled to claim flight delay compensation. You can use our free flight delay compensation tool to make a claim. you're departing from an EU airport, or from a non-EU airport and flying into an EU airport on a 'community carrier' (an airline with its headquarters and main place of business within the EU. This includes all European discount and no-frills airlines). If you're travelling with a non-EU based airline flying from a non-EU destination, the airline doesn't have the same duty to look after you. 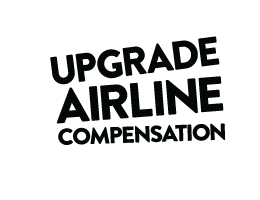 But you can check the airline's Condition of Carriage to see what compensation you are entitled to. You also have rights under the Denied Boarding Regulations if your flight was cancelled. Delayed due to long security queues? If you miss a flight due to security queues you are unlikely to qualify for compensation from your airline, as the time it takes to get through security is out of the airline's control. However, there may be some circumstances in which you can claim - for example, if your flight is delayed due to knock-on effects of security delays. If you are unsure whether you're entitled to compensation, use our free flight delay claim tool below. Under EU Regulation 261/2004 - or the Denied Boarding Regulation - what you're entitled to depends on the length of your delay and the length of your flight. Each affected passenger can also claim flight delay compensation if the delay is not due to ‘extraordinary circumstances'. A disruption is a situation classed as an extraordinary circumstance. If your flight’s delayed for more than five hours you're entitled to choose between being rerouted on a different flight or getting a refund, just as if your flight had been cancelled. And each affected passenger is still entitled to claim flight delay compensation if the delay is not due to ‘extraordinary circumstances'. You can make a claim up to six years after the delayed or cancelled flight if your flight flew in or out of a UK airport. If your flight arrives at its destination more than three hours late each affected passenger is entitled to claim compensation. The distance of your flight, length, and the reason for the delay will affect how much compensation you can claim. You can claim flight delay compensation claim in accordance with the Denied Boarding Regulation as detailed in the table below. Depending on the distance of your flight and the length, and reason for, your delay you could also be entitled to claim compensation. The Court of Appeal decision in the joint cases of Gahan v Emirates and Buckley v Emirates means passengers flying with a non-EU airline are entitled to compensation if a flight departing from the UK is delayed by at least three hours at the final destination, as a result of a missed connection outside Europe. Compensation for delayed flights is dependant on the reason for the delay. If the airline can prove the delay was caused by ‘extraordinary circumstances’, no compensation is payable. Extraordinary circumstances are situations beyond the control of the airline, for example, security risk, political instability or severe weather that makes flying dangerous. Delays and cancellations due to strikes by non-airline staff (for example baggage handlers) are also usually included in this category. Strikes by airline staff are not considered an extraordinary circumstance. Although you are not entitled to financial compensation for flight delays in these circumstances, you are entitled to the meals, refreshments, accommodation and hotel transfers depending on the length of your flight and delay (as explained above). It’s worth challenging your airline if you don't agree that there were extraordinary circumstances - for example, if you're told you can't fly due to weather conditions, but other flights are departing. Airlines may stretch the definition of extraordinary circumstances further than they should. The European Court of Justice ruled that ‘a technical problem’ is not one of the extraordinary circumstances that airlines can use as a valid defence against paying flight delay compensation. This is now one of the highest rulings on the issue of technical problems and is binding on all European courts. If your flight has been delayed because of a strike, see our guide on what to expect from your airline in the event of a strike. As well as the compensation you could be owed under EU Regulation 261/2004, you might also be entitled to claim for any extra out-of-pocket expenses under the Montreal Convention. However, this can be quite a tricky legal argument. If you’d like to know if you may be entitled to additional compensation contact Which? Legal for one-to-one advice. The Civil Aviation Authority (CAA) hold a list of approved providers of ADR schemes and the airlines they cover. Please note the Civil Aviation Authority can only help you if the flight was cancelled or delayed within the UK, or was on a UK based airline. If your flight was cancelled or delayed outside the UK, you will need to complain to the airline regulator in the country the delay occurred in. Regardless of whether you choose to use a CAA approved ADR scheme, you still have the right to take an airline to the small claims court if you feel it is unfairly refusing your compensation. But it's a good idea to seek legal advice before taking this step.